Yesterday I went to Rotterdam with a friend. I mainly wanted to go to Very Cherry, a shop that sells dresses by Stop Staring for example, but also other vintage style dresses. They had a lot of beautiful dresses, but they didn’t fit me that well or didn’t come in my size. Too bad! I also went to Demonfuzz Records (record store) and Primark. New In pictures are due for tomorrow! I really wanted to wear my new H&M sweater and also felt like wearing my bowler hat. It also had to be comfortable because I was going to be walking all day, so I put on my jazzy shoes. All in all I get a really jazzy feel about this outfit. It must be the shoes, haha! Please check it out! P.S. Inside pictures again due to huge amount of rain. Using flash makes the pictures even worse, but I did put in one flash picture just for a better look at the details. Wat is deze outfit leuk zeg! Een van mijn favorieten tot nu toe! Wat leuk! Die sweater kwam me al bekend voor haha! 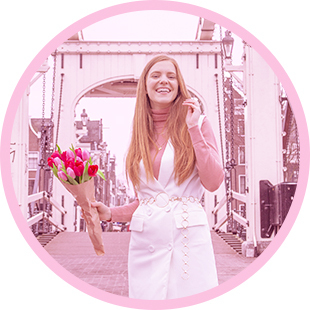 Heb jij trouwens ook lookbook? Ik wil graag wat looks van je liken namelijk haha! Ik vind je hoedje en trui echt geweldig!